Want To Sponsor A Family Member To Come To Canada? Living in Canada and being away from your family and loved ones can be really difficult. Fortunately, there is something that you can do to remedy this situation. If you are foreign-born Canadian citizen or a permanent resident in the North American country, you may sponsor your spouse, common-law partner, conjugal partner, or dependent children to come to Canada and become permanent residents. But to make this a possibility, there are requirements that you should meet. One of the most important of them is that you have to show proof that you can provide for the family member you want to sponsor. You must make every reasonable effort to provide for not only your own essential needs, but those of your family’s, as well. “But what if I want my spouse or common-law partner to also work in Canada?” If you’re asking this question, allowing your partner to work is a good option to consider because you’ll have someone to help you provide for your family. But if your partner or spouse wants to work in Canada, they will need to apply for their own work permit and meet certain requirements, just like what you did before. Generally, your spouse or common-law partner must apply for a work permit for a specific job. If s/he has already found an employer, the employer is required to get a Labour Market Opinion (LMO) from Human Resources and Skills Development Canada. This will allow the employer to hire him or her for a specific role in the company. 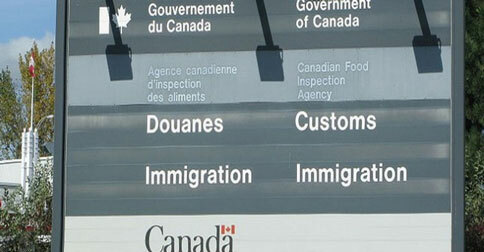 Another option is for your spouse or partner to apply for an “open” work permit. This will allow him or her to work for any employer. However, this is possible only if one of these conditions is applicable to you. • doing work in Canada that is on a list of eligible occupations in participating provinces. In some cases, there are some provinces and territories that provide spouses or common-law partners of citizens and permanent residents with the opportunity to get open work permits through various projects. Now if your spouse or common-law partner successfully gets an open work permit, it will be valid for the same period as yours.